James Tucker has been located. The Gold Alert has been cancelled. 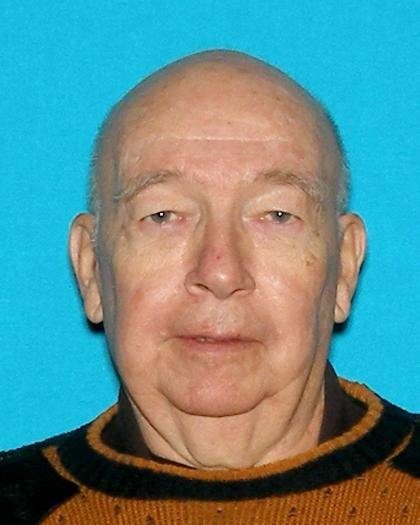 Millsboro, DE- The Delaware State Police are issuing a Gold Alert for James W. Tucker, 81, of Millsboro, Delaware. Troopers are looking for James Tucker who hasn’t been heard from since approximately 9:00 a.m. this morning, Thursday, June 02, 2016, after he left his residence located in the 23000 block of Pine Run, Oakmont Estates, Millsboro, DE. There is a concern for Tucker’s welfare as troopers have been unable to make contact with him and attempts to locate him have been unsuccessful. James Tucker is described as a white male. He is 5’08” tall, weighs approximately 150 lbs., and has grey hair and blue eyes. There is no clothing description available for Tucker at this time.